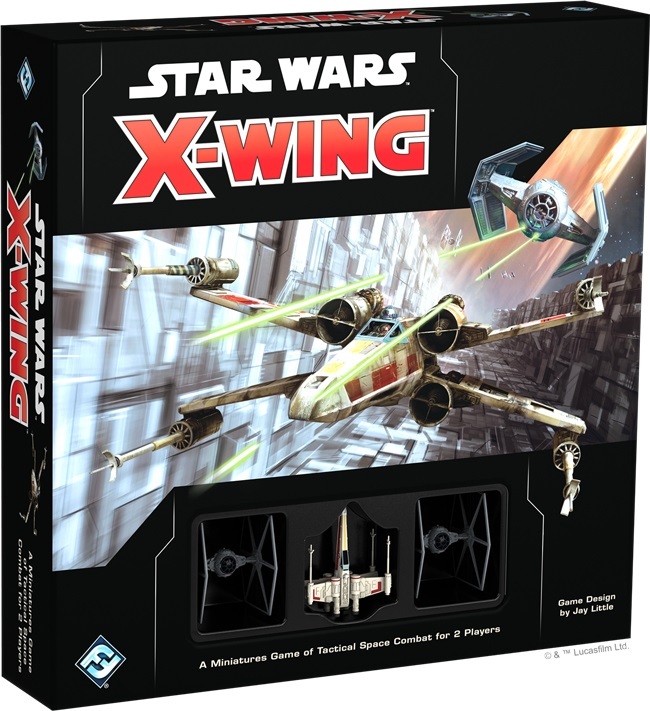 X-Wing’s new edition has a lean and clean ruleset that FFG has put a LOT of work into. Here’s my favorite updates and why. 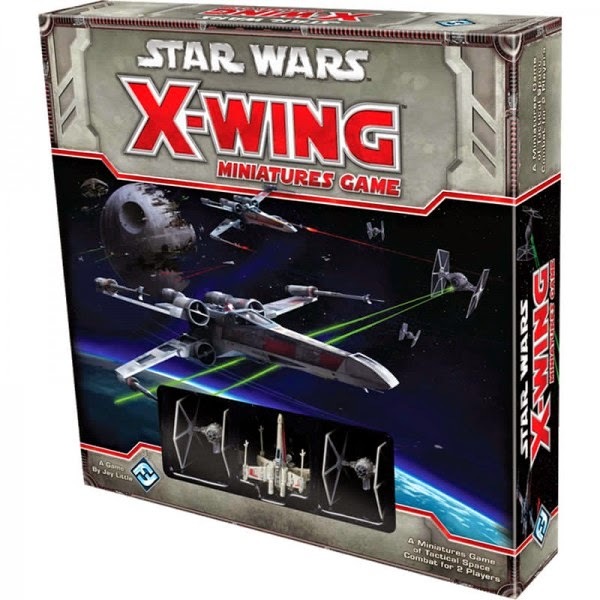 X-Wing has come a long way since it was first released. Thirteen waves totaling forty-six new ships, Epic play (with five epic ships), six “balance patches”, and a whole new core set. That’s an awful lot of new cards, ships, and pilots. And all of them were beholden to the conventions established in the initial release of X-Wing. We’re not talking about the level of power of the first ships (this obviously wandered). We’re talking about the words. From the moment you first write your rules, you are compelled to re-use those same words forever and for always. You have to be consistent. Lose your consistency and you open the door to players saying, “These cards read differently, CLEARLY there’s a different intent behind them, they must work differently.” There are few opportunities to clean up the game’s wording, and no chance to introduce jargon or shorthand (since even if upgrade cards get reprinted (which didn’t happen for the first five years!) ship cards don’t). In other words, there are few chances to incorporate lessons learned in game design. Just as players are continuously learning how to break the game, FFG is continuously learning how to make the game. FFG didn’t understand at the beginning how strong Academy Pilots were, how broken Biggs was, or how crippling the Y-Wing’s dial was. They, like we, had to learn those lessons over time. They’ve been able to incorporate those lessons learned into their new products in many ways, but they haven’t been able to do the same for wording. The actual words of the rules were constrained by the need for consistency. Since they’re wiping out all the old cards and replacing them completely, there are abundant opportunities for new verbiage. This lets FFG introduce new conventions and new jargon while remaining consistent, using everything they’ve learned from six years of X-Wing. Hooray! Let’s look at some of my favorite examples. A simple one to start, but the one that might take the most getting used to, given how often the term is used. The specification of “target” added no value here (there are no other kinds of “lock” other than “target locks”) while adding an extra word to card text. A small win for Brevity here. There isn’t a Brevity benefit here. Instead, FFG is spending an extra word to buy Design Space. In 1.0 a lot of FAQ space was expended on untangling situations where multiple effects changed something’s difficulty, and even then we ended up with different rules for different situations (“more restrictive” sometimes, “most recent” other times). With this wording, you can sort these things algebraically, intuitively. It also keeps the swings generated by these effects from getting too big (e.g. Unhinged Astromech changing the Y-Wing’s three-turn from red to green). This, in turn, means more new effects can safely explore this space. Note that when a color is specified the color is “red”. You can always make things harder! The logic is similar to the difficulty discussion above, but it winds up being both a Clarity and Brevity boon. While an abstract property like “agility” can be negative, a tangible thing like “defense dice” can’t be. You could, after all, imagine a ruleset where negative numbers are a thing, but you physically can’t roll negative-one dice. This lets FFG cut the parenthetical completely and removes the need for the tortured distinction in the FAQ between dice from agility and bonus dice and which can be affected by what. Nope. Just roll one fewer die regardless of where it came from, and if you run out of dice, too bad. Incidentally, this makes such effects somewhat more powerful. Given that Intimidation and Outmaneuver were basically dead on arrival, that Wedge being strong is good in itself, and that having zero agility shouldn’t be as good as having one, I can’t say I oppose this one bit. A clear Brevity play, but there’s a Clarity component to it also. 1.0’s definition of overlapping ships is different from its definition for overlapping obstacles, a fact which becomes confused when you use both definitions at once. Swapping to “fully execute” cleans that up. (It also stealth-buffs these effects by allowing you to hit rocks and still benefit.) “Fully execute” may seem like jargon at first, but “overlap” is jargon the way 1.0 used it. Jargon—that is, the use of terms with specific meanings unique to your context—is always a risk. Jargon brings a learning curve, which is especially harsh on new players, would-be players, and casuals. It’s also possible to go overboard with jargon. 40K’s Sixth Edition consolidated whole sets of similar rules, previously spread amongst individual units, and gave them universal definitions in the main rulebook. While in theory a sound approach, the result was that the new Universal Special Rules covered 12 whole pages of a very large rulebook. There were so many of them even dedicated rules wonks struggled. This, in turn, created a phenomenon where players had to search multiple books to know the rules for their units. That was jargon overload. A little jargon, though, can bring substantial benefits in Clarity and Brevity. My opinion is that X-Wing is in a place where it can absorb a little extra jargon. I get the feeling FFG has wanted to make this change for a while. It’s one of those things that’s agonizing in hindsight: there was a use for it right from the initial Core Set, on the damage cards themselves. It probably didn’t seem necessary at the time. As the game has grown, though, and as we’ve gotten more effects that interact with damage cards, the need has become more pressing. Only with 2.0 has FFG finally gotten the chance to make this change. One more thing: it fixes the messy clashing of the word “discard” between upgrade and damage cards. When a damage card got “discarded”, it was no longer part of the ship. When an upgrade card got “discarded”, it got turned face-down instead; it was still part of the ship, and certain effects (like reloading or Scavenger Crane) could flip it face-up again. That meant “discard” was overloaded. The charge system means upgrade cards don’t need to use “discard” any more. From “you may perform an attack. You may not attack again this turn” to “you may perform a bonus attack”, with bonus attacks limited to one by rulebook. A Brevity and Clarity play both. For one thing, it skewers the possibility of something like Double Tap-Tap (Gunner + IG-88D on the same ship allowing for three shots a turn) ever happening again. For another, it shaves a seven-word sentence off of every card that has this sort of effect. Nice! There are other forms of this construction: from “if you have a lock on that ship” to “if you have that ship locked”, or “if you have a focus token” to “if you are focused”. In all cases, we’re not only saving some verbiage, we’re using a more active verb. This adds some pop. I’m not as high on this change as I am on some of the others. I suppose using the terminology of range makes things more consistent on the whole, but it’s not like “touching” was an unclear or overloaded term, and there’s no brevity advantage. Meh. FFG shifts some of the burden to the main rulebook with this Brevity play. It’s not bad—much like the bonus attack change, it seems like the sort of thing that’ll confuse some people once each, and then never again. This is a triumph. The symbols are clear and unambiguous, and they convey the idea much more cleanly than words. We don’t have to get bogged down trying to distinguish a special firing arc from a rear firing arc from an auxiliary firing arc. They’re all arcs, governed by the same rules and discussed using easily-read symbols. Bravo. One would hope that your game company would use a new edition to clear out its FAQ. FFG looks to have done that with 2.0. What’s remarkable is that the main way they’ve done so isn’t by bulking up the rulebook (there’s a little of that but not the majority). The preferred approach is refinement of the words on the cards. This plays to one of X-Wing’s big advantages as a game: a tight, intuitive, clear ruleset, with all required information right in front of you at all times. Refining how the game is ruled and communicated, while subtle, is nevertheless significant. It speeds and enhances understanding, forestalls player-on-player arguments over interpretation, and opens up new avenues for future cards and ships. It gets the rules out of the way of the game. ~And, in the end, we’re all here for the game, not the rules. …right?